There is more than one way to get to Yosemite and each route offers a different adventure. 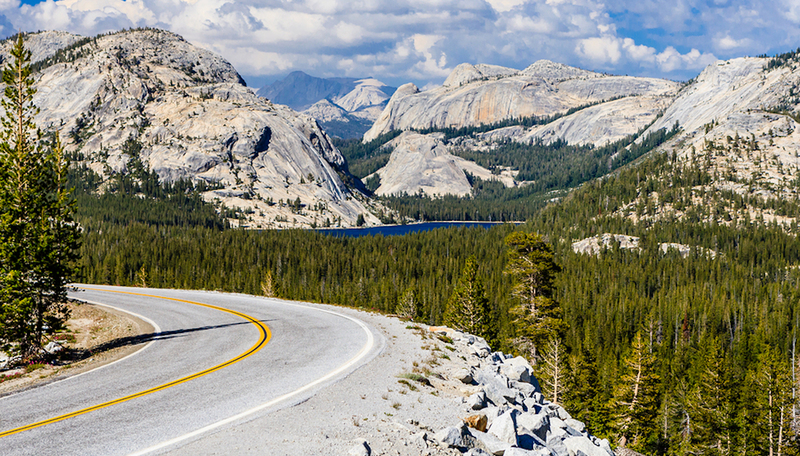 Let’s take a look at the options for making the drive so that you can plan out your Yosemite road trip. 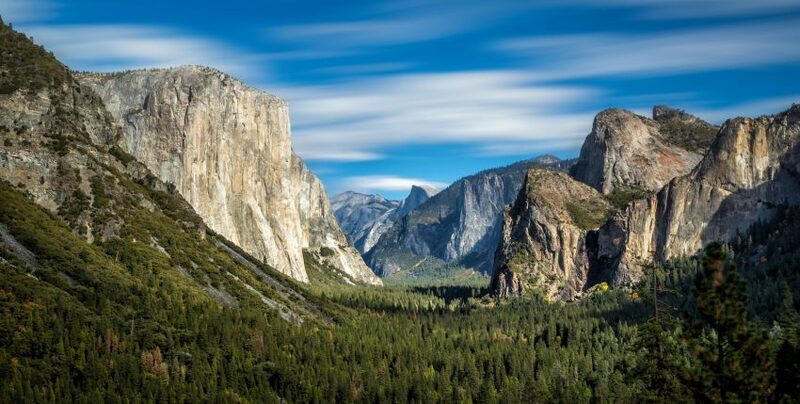 Each of the four different paths to Yosemite offers its own unique charm, from wine country to Gold Rush history to beautiful high country landscapes and charming towns. Highway 120 will be the best way to approach Yosemite if you are coming from the big cities of San Francisco or Sacramento and their major airports. This scenic route skirts around the Northern edge of Mariposa County and passes through the lovely towns of Buck Meadows and Groveland. Highway 120 is mostly straight or gently curving, except for the 8 mile Priest Grade ascent which will gain over 1,000 feet of elevation in 8.5 miles. The largest town on the route is Oakdale, which is a good place to stop and stock up on groceries and fill up on gas. Groveland is also a lovely place to take a break from driving and check out the oldest saloon in California. This historic Yosemite route follows the old railway tracks. It provides the lowest altitude approach, which means it’s often the best year-round highway to travel on. This is a very scenic route to Yosemite and probably gives you the most impressive way to enter the park. The first community you will reach is Catheys Valley. This small town began as a ranching community in the 1850s and it is a lovely place for bike rides and hikes because of the butterflies and wildflower meadows. 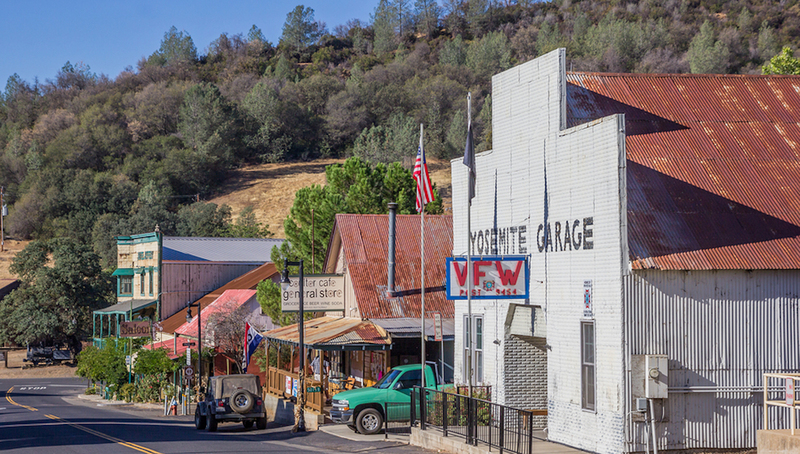 You can also catch a glimpse of the Old West at the historical town of Mariposa. Several historic structures still stand and have been turned into restaurants, shops and bars. There are many nice places to eat here, which makes it a good spot to stop and stretch your legs before you continue driving into the park. Check out the 1854 courthouse, which is still in use, or sample local wines and craft beers at The Alley. Highway 140 will also take you through Midpines Summit and the mining towns of Sherlock, Whitlock and Colorado. This is the south entrance to the park. If you visited the giant sequoias in Sequoia National Park and Kings Canyon previously, this is the way that you would be approaching. The journey begins in Fresno and then takes you through the lovely vineyards and tasting rooms of the Madera Wine Trail. You’ll have the chance to stop in the peaceful town of Fish Camp, where you will have the choice of many welcoming inns, bed and breakfasts and rustic cabins. If you are a train buff, you might be interested in taking a ride on the Sugar Pine Railroad — a history steam locomotive that will take you on a scenic trip through the rugged pine forests. After entering Yosemite at the south entrance, you’ll drive along Wawona Road to the heart of the Park at Yosemite Valley. 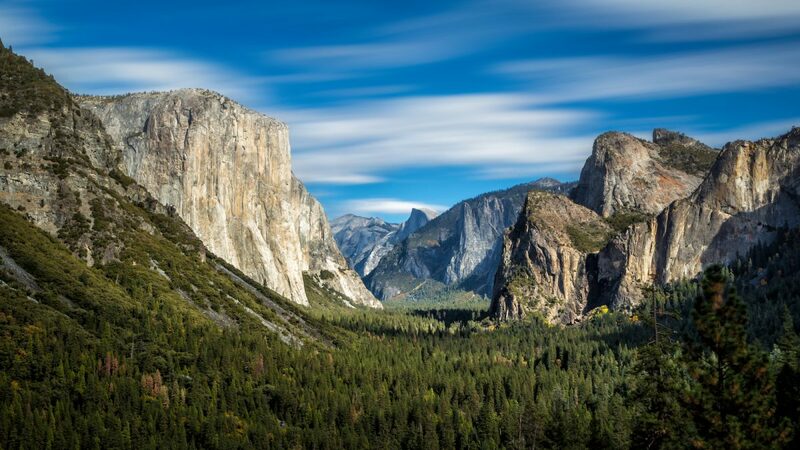 As you descend to Tunnel View, the road offers a fantastic Yosemite Valley vista and you can see all of the most famous landmarks including El Capitan, Half Dome and Bridalveil Falls. There is another entrance to the park at Tioga Pass, which is located on the eastern end of Highway 120. You can get there by using Highway 395. Taking this route is a real treat for the senses, because it will offer you a breathtaking drive over the Sierra Nevada Mountain Range. 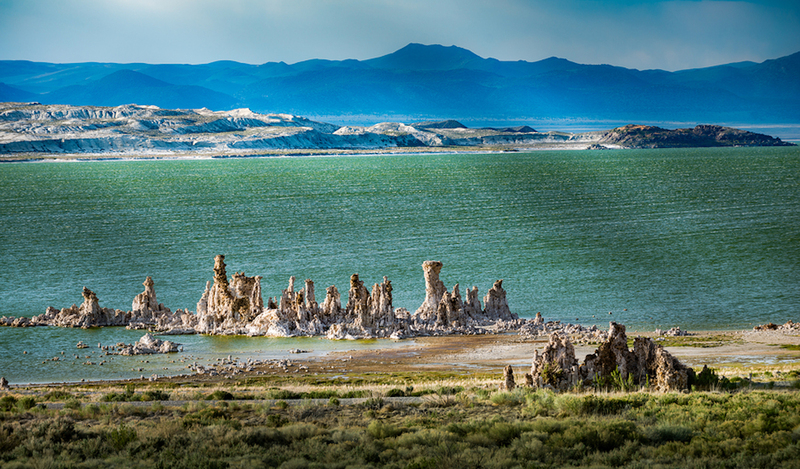 Stop in the town of Lee Vining for a view of Mono Lake, which is the salty remnant of an ancient sea. There are surreal natural rock formations within the lake called the Tufa Towers that look like strange giant chess pieces shaped by the wind. Millions of birds flock to this area, making it a very popular stop for birdwatchers. 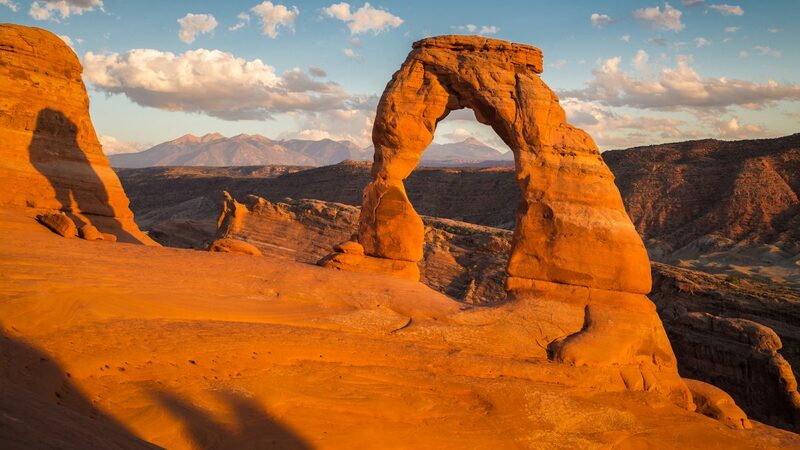 This is the ideal route to take if you are coming from Las Vegas, Reno or Death Valley. However, this route is closed in the winter so it is only a summer option. The journey is impassible during the winter due to snow, as you will be arriving into the park at over 9000 feet elevation. 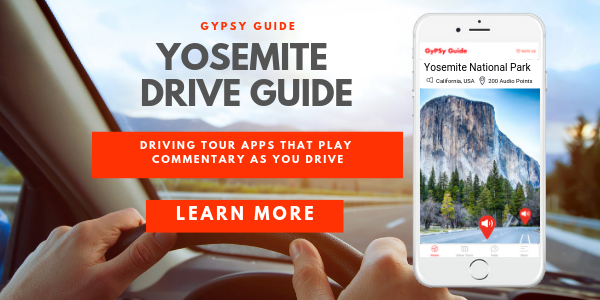 If you like driving yourself when you go sightseeing, GyPSy Guide™ Driving Tour Apps allow you to enjoy a guided tour experience while remaining totally independent. The tour apps use your device’s location abilities to play the commentary AUTOMATICALLY. All you have to do is drive, listen and soak in the scenery. 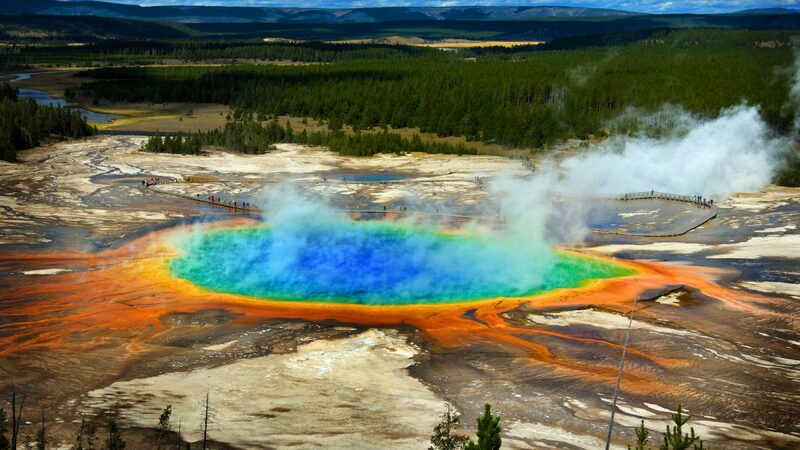 Our guides have created tours that highlight the very best Yosemite National Park. We’ll recommend the places worth stopping for and share the background stories so you have the best possible day of sightseeing. Like this article? Pin it! 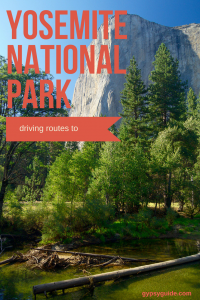 or share these must-follow tips for driving to Yosemite National Park with other savvy travellers.